Corpus Christi Catholic School’s mission is to develop in their students a passion for the Gospel and building a just and compassionate world through service to God and others. Each year, students participate in different service opportunities throughout the community. Eighth grade students volunteered at Metropolitan Ministries, Best Buddies and St. Vincent De Paul, amongst others. 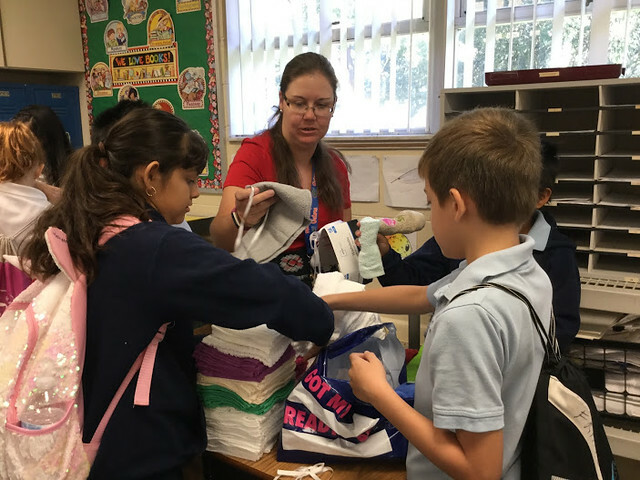 Younger students recently created care packages for the poor and homeless. These care packages included items such as toiletries, cold weather gear and non-perishable snacks. See photos of the students in action below. To learn more about Corpus Christi Catholic School in Temple Terrace, please visit their website.